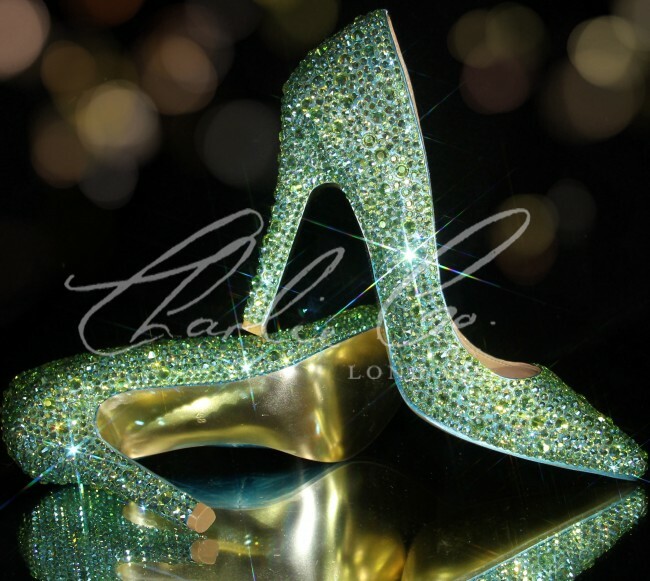 Stilletos are an old time classic and ideal for glamorous occasions such as weddings. 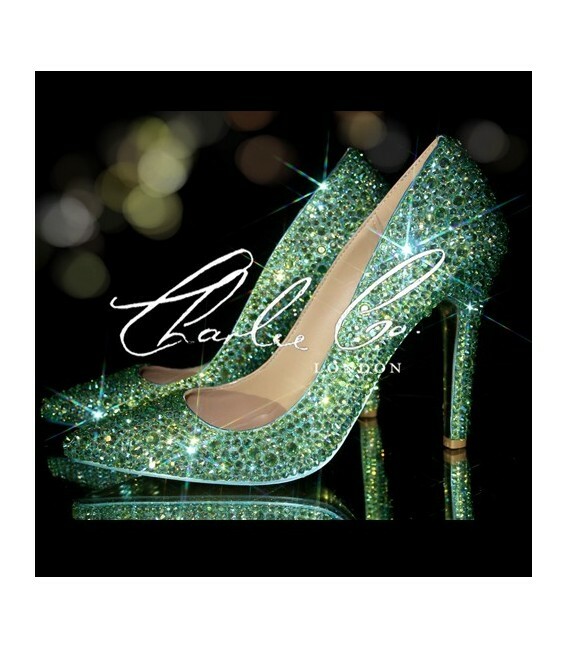 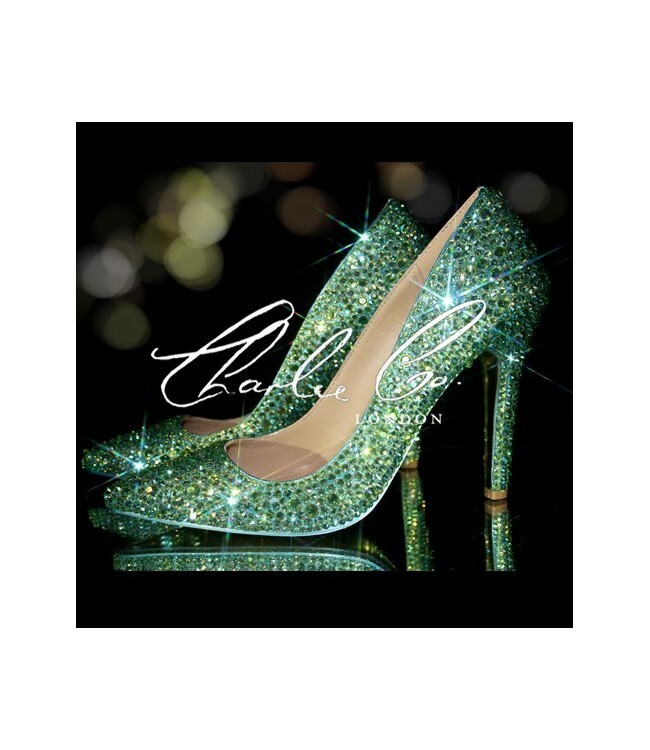 The Swarovski AB Peridot Pointed Toe heels bear the classic appeal and feel of stilettos. The glamorous part about these is the Swavorski glass crystal detail on them. 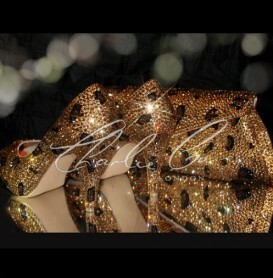 These run up to the heel of the shoe. 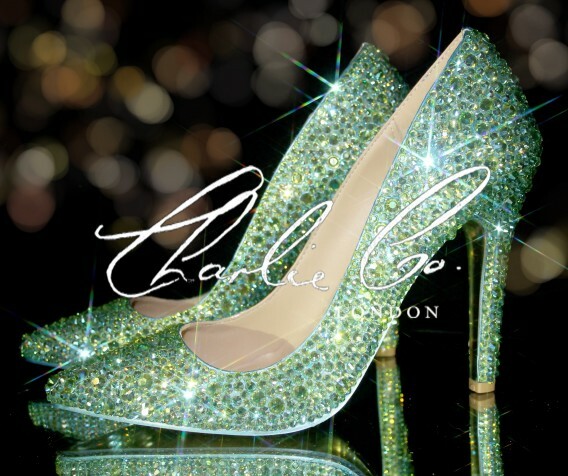 The insole of this shoe is designed for comfort with a well-padded feature to create a cushiony feel for your feet. 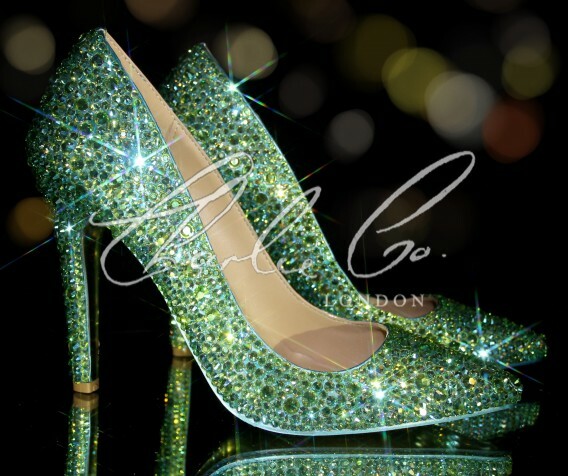 The green color with the crystal embellishments is unique and is more likely to compliment plain colors such as white. 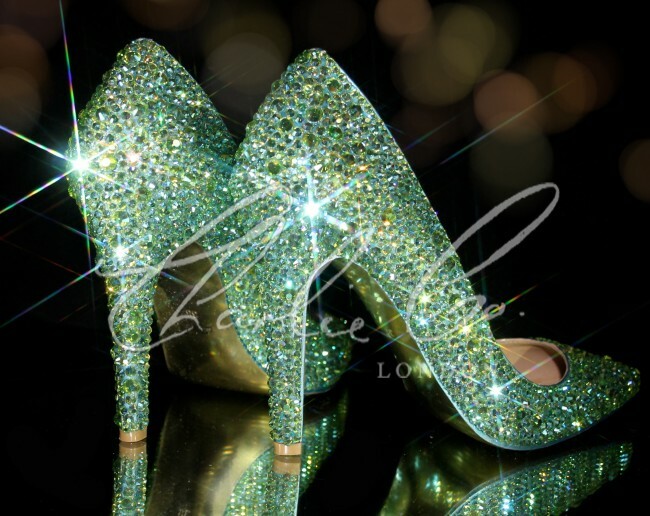 If you wish to have your shoes in the same colour as the image please selectPeridot AB from the colour drop down menu.